Cherry is for anyone who loves their look sweet, smooth and full of luscious retro flavour. 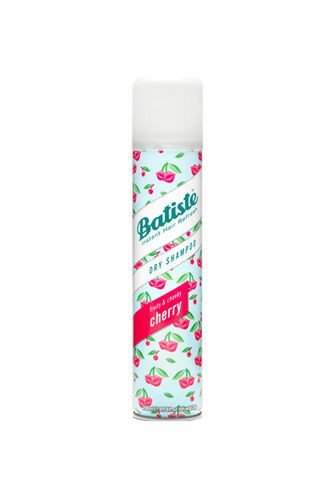 Batiste Dry Shampoo Instant Hair Refresh Fruity & Cheeky cherry looks just as great on your dressing table as in your handbag. This is a fun new fragrance that livens up your lock. It has a rich cherry scent. Instantly adds life to your dull hair. It has an innovative formulation that removes excess oil from your hair and makes it non-greasy. It is to be used in between washes. Explore the entire range of Shampoo available on Nykaa. Shop more Batiste products here.You can browse through the complete world of Batiste Shampoo .